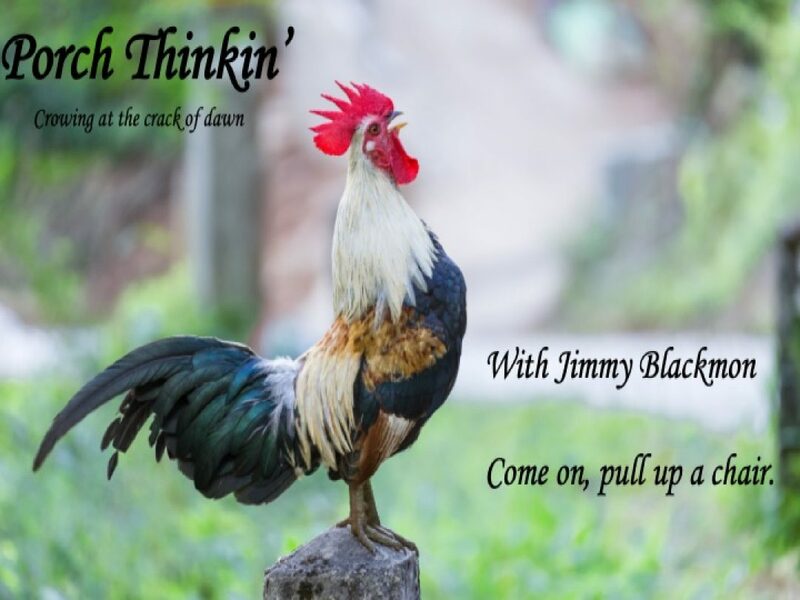 Porch Thinkin' – Page 2 – I grew up at the knee of storytellers. Old men in bib overalls mesmerized me with animated stories about life. Porch Thinkin' addresses several of the passions in my life: writing, storytelling, and my love of the bow and arrow to name but a few. Kris Kristofferson said Janis Joplin dreamed pretty dreams. I think that’s beautiful. He also claimed that Jesus was a Capricorn. I don’t know about that, but I know that “Why Me” was sung in honky-tonks’ on Saturday nights and churches on Sunday mornings. That’s genius. Help me Jesus, my soul’s in your hand. I don’t think Kris gets enough credit. Rhodes Scholar with a masters in English Literature from Oxford. Golden Gloves boxer, Airborne Ranger, and Army helicopter pilot for crying out loud. He’s legitimately the World’s Most Interesting Man, with a beautiful mind to boot – a genuine renaissance man. “Help Me Make it Through the Night” – mega hit for Ms. Sammi Smith. Yes, written by Kris. his epic role slaying vampires in the Blade movies. Kristofferson is 82. I’m a huge fan and hope that you are too. wander and then began to veer. Yet I begin to sing. And it echoed through the canyons like the disappearing dreams of yesterday. MAGA – Kristofferson in 2020 for Worlds Most Intereting Man. Thanks for the tip, & Happy Birthday. My father was a professional reminiscer. He jumped at every opportunity to tell me about the good old days. With vivid clarity, he could recall the price of eggs, gas, and milk from 1945. 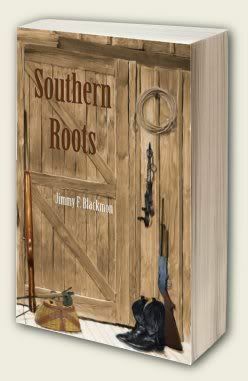 Most of his stories revolved around the cotton mill, fishing, archery, and hunting. Many was the day that he told me about taping a match stick to the riser of his bow for a sight. My archery journey has been all about experimenting with various methods of aiming and shooting. Yet, here I am at 50 years of age, and I’ve never taped a match to my riser. So, yesterday I went out back and did exactly that. The head of the match was much too large for precision aiming, so I broke off a toothpick, dipped the tip in white cresting paint, and taped it to my bow. Within minutes, I had a single sight pin that worked nicely from five to eighteen yards. With a hint of heat, the fog began to fade. The tops of red oaks with a few golden-brown leaves still desperately clinging on emerged from the gray. Then, suddenly, it was as though new life was breathed into the fog. It started to swell and roll. Like smoke in the wind it began climbing the bluff where I sat watching over 250 feet above. In a matter of seconds, I was completely engulfed the cloud, a unique position from which to watch the visibly silent fog creep through the trees. Once up, the sun quickly burned the fog off, and the forest came alive. Birds flew branch to branch sounding an alarm for breakfast. A family of chipmunks began squabbling over a nut on a nearby log. I saw the doe out of the corner of my eye. She was moving from the river up the ridge. Twenty meters back there were two more does. The lead walked with purpose up the trail adjacent to my stand. I prepared to draw when her head disappeared behind a large maple. A tug of the string, limbs bent, and the bow was cocked. I put the tip of the toothpick on the spot and the arrow was gone. The doe bound up the ridge leaving my arrow on the ground, soaking wet with blood. The big doe only ran thirty yards and lay down, where she expired. We lost Daddy this July. 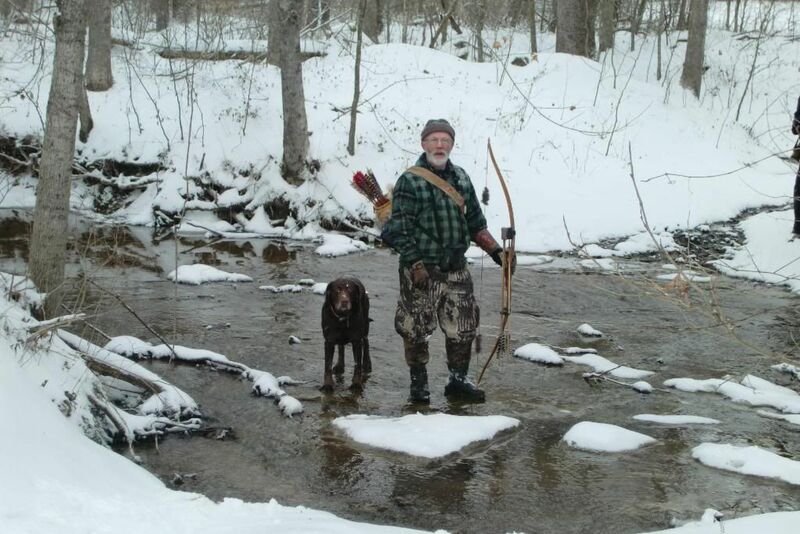 Today, is his birthday and he would have loved nothing more than to have spent it hunting. He would have been 87. Happy Birthday, Dad. The old man lived alone in the woods. likker was not sequestered to the hours of darkness. He imbibed whenever there was something to drink. often slept on the ground. meaner than a badger in a briar thicket. as the liquid ran warm through his veins. even when he was old and spent. A mean man doesn’t need strength and speed. bitter though the nectar often was. teaching boys to be men. and coughing in a rag. his gravelly voice hollow and weak. Too late for Little Frank. the status of his soul. that warrant a few lines on a page. softened the texture of his life. and that’s where he departed this life. At 4:00 a.m. I was awake and wondering, had I adequately prepared for a lesson I’d be presenting later this morning? A roll, a turn. It was pointless. I was awake and left with only one option – review my lesson plan. Quietly, I plugged the modem in and crept from the bedroom to my office. Digitally reconnected to the world, I pulled up the lesson and began to review, but I must admit, first I stole a peek at your Facebook headlines. I smiled at the thought of how excited we get for our children. Sure, we often wonder if they even realize how much we sacrifice for their fun – hopefully their growth and development as well – but we don’t truly know what they are gaining from the experiences we provide them until later in life. Our responsibility is to simply do our best to provide opportunity. We are making an investment in them, in their future, in their potential. That journey is filled with excitement, satisfaction, pride, fear, and all too often heartache and pain, but we would not trade it for the world. A boy once used to be. e traditions is that on Thanksgiving Day the leaders dress up in their service uniforms and serve their soldiers and families Thanksgiving dinner. er truly cared to know the answer to the question or not. “They know before you ask them if you really care,” I told them. Some leaders do what they are expected to do, but they are not authentic. Truly caring means listening not only to hear, but to understand. So many leaders today simply can’t set the rest of the world aside and give their employee a few precious seconds of their time. Have you ever entered your boss’s office to ask a question or solicit guidance, but they kept glancing at their computer screen as they spoke to you – distracted? Have you ever been speaking to your boss and grew irritated because every time their iPhone “dinged” they glanced at the screen? Sadly, I’ve experience these scenarios all too many times. If you truly care. If you truly want the best your employees have to offer. If you want them to know that you genuinely care about them. Listen to them! If you don’t really listen – you’ll never UNDERSTAND. In order to maximize the potential of our people we must accurately identify those with gold at their core, and start digging. As a young boy, I loved watching “On the Road,” with Charles Kuralt. As advertised, it always made me feel good, warm inside. They were merely brief segments during the CBS Evening News, yet they always left me uplifted. Sadly, the feel-good shows of yesteryear, the Andy Griffiths of TV Land, have all but faded. Today, we are bombarded with a steady flow of negativity. The 24-hour news cycle fuels a constant flow of everything bad that is happening in the world. News shows have become so polarized that they incite fear and hatred. The school yard bully still exists, but social media empowers even the weak and frail to lash out in a thousand hurtful ways, injuring victims in ways far more painful than a bloody nose. It has become acceptable to note every flaw, every fault, every poor choice anyone makes. If we’re not careful, we’ll become experts at finding fault in everyone, yet blind to the good qualities they possess. Leaders (parents, coaches, teachers, managers) if we truly want to inspire our families, friends, co-workers, and employees to stretch a little farther, reach a little higher then we’d be wise to lift them up more frequently. Encourage those striving to be better, support those doing their very best, champion their strengths and boost their self-confidence. From the most talented people you know to those struggling just to get by, we all respond better to positive feedback. Early in my military career, I traveled to Fort Irwin, California for a month-long training event. During that event, I served as the Adjutant (Chief of HR & Assistant to the Squadron Commander). My job had very little to do with operations, yet we were practicing wargames, so naturally, I volunteered to lead a planning team to help solve our tactical problems. After the last big battle of our rotation, we attended an after action review – an event during which we discussed all the things we did well and what we needed to improve upon. At those events, we commonly found that we had far more weaknesses to improve upon, than strengths to sustain. Following the after action review, I exited the building. Just as I walked out the door, I felt a hand grasp my arm. It was one of the cadre members, Captain Mike Lundy. He pulled me around to the back of the building. Assuming I’d somehow messed something up, I feared the worst, but to my surprise he told me, “Lieutenant, you did a great job during this exercise. You’re going to be a very good leader. Keep doing what you’re doing.” Then he patted me on the back, and I walked back around the building to join my unit – felling like a million dollars. That captain took one minute to encourage me, to tell me I was doing a good job, and I’ve never forgotten it. He got a lot of mileage out of that quick bit of positive leader behavior. I, like most everyone else I’ve encountered in my life, respond well to encouragement. As leaders, we would be wise to go the extra mile to seek out opportunities to encourage others. Become an enthusiastic cheerleader for those we lead. I’m not suggesting that we do not correct inappropriate behavior, nor am I saying we should overlook mistakes. Recently, in a men’s class at church, we read these words. I could recommend no better behavior for leaders. “I come … with a plea that we stop seeking out the storms and enjoy more fully the sunlight. I’m suggesting that we accentuate the positive. I’m asking that we look a little deeper for the good, that we still our voices of insult and sarcasm, that we more generously compliment virtue and effort. It’s not hard to identify faults. Heck, I know I supply ample material for even the most pathetic critic to become a success. But, if we want to truly get the most – the very best – out of those we lead, we need to take a closer look at ourselves. We must honestly ask ourselves, am I a positive leader? Do I inspire those I seek to lead, or do I berate and criticize far too often? I suggest we begin in our homes. Practice finding the good in our own family members. Make positive reinforcement a habit, something we truly excel at. Before long, we’ll develop a keen eye for the good in those around us. Being positive is choice. Make the decision today! A year ago today, Lisa and I made the decision to hang up our spurs and change our course in life. In many ways, it was a scary and difficult decision, yet we always felt comfort – an assurance that we were making the right decision. On that day, we looked forward into a world with dew still on it – a world full of possibility. A year later, I still feel like a stumbling, newborn colt, trying desperately to get his legs settled beneath him, yet gazing out upon a world with no fences. I look backward in time and see rich blessings, precious memories of treasured friendships. I look forward with eager anticipation for the relationships I’ve yet to forge. It would be easy to become entangled in the negativity of our time, to note every briar that nicks our skin, but that would only hold us back. These are exciting times, our opportunity to write the story that will be recorded in the annals of time, our story. May we each look to the future with great optimism, full of hope, committed to encouraging one another along the path of life. We urge our teams to trust us all the time, and we genuinely mean it. “Trust me,” we say hoping to assure them, somewhat pleading with them. Yet, the reality is that our actions produce faster results than our words. Demonstrating that we should be trusted gains support faster than any motivational speech. Several years ago, my eight-year-old son asked to join me on a deer hunt. He desperately wanted to sit in a treestand beside me while I hunted. Thrilled to have him along, I took my portable deer stand to a location where I already had a permanent stand affixed to a tree. The tree forked right where my stand was locked onto the tree. I climbed the tree and fastened the portable stand to the other major fork in the tree. My son would be inches from me. That afternoon we dressed for hunting and headed to the farm. I buckled a safety harness to my son and we quietly walked to the tree. I told my son to wait at the base of the tree while I climbed up to my stand. I climbed with the end of his safety line in my hand. Once I was in the stand, and tied to the tree, I tightened the slack in his safety line and told him to climb up. He began climbing immediately, but once he was about six feet off the ground he froze on the side of the tree. I wasn’t sure what was wrong. I tugged gently on the safety line to get his attention. He did not look up at me. His eyes stared straight at the tree. “What’s wrong?” I whispered. Then I saw his chest begin to heave. “I’m scared,” he said, sobbing. “I’ve got you,” I assured him, hoping he’d put his trust in me. He continued to quietly sob. I then pulled the safety line enough to gently lift him off the steps. I lifted his entire body up, and he saw that I could handle his weight in my hands. Suddenly, he looked up at me, and without hesitation climbed up to the stand. No amount of reassuring worked. My words were hollow, yet when I demonstrated that even if he slipped I would keep him from falling, he gave me his complete trust. It was a powerful lesson. As leaders, we often urge others to trust us, but we would be wise to demonstrate capability. The old adage, actions speak louder than words, rings true when trust is desired. You simply can’t make this stuff up. I recently spoke at a large conference. I was to go on stage at 10:15 a.m. The driver delivered me to the event center at 9:45, at which time I was greeted by a group of very nice ladies who organized the event. They took me to a side room to put my bag down and prepare for the presentation. The room was fairly large, but it was empty except for one circular table in the middle of the room and one rectangular table against the back wall. There were several chairs around the circular table and a table cloth on the rectangular table that draped to the ground. The ladies and I went over the slides to make sure we had the right version. We discussed the mechanics of getting onto the stage etc. We had been in the room for at least ten minutes when two other ladies entered the room and said they needed the rectangular table. They bought books for all of their attendees, so they wanted me to sign them after my presentation. They would use the rectangular table as a signing table. A lady went to each end of the table and lifted it slightly. As they began to move it slowly away from the wall, hair and then eyes were revealed. Being startled, one of the ladies squealed. Sitting on the floor, under the table, HIDING!, was one of the convention center workers. She had been sound asleep until they moved the table. The ladies moved the table completely out away from the wall and there she sat. I told her it happens in most companies every day. Some people go the bathroom to sleep, others do it in their cubicle. But, is it the audacity to sleep on the job that shocks us most, or the fact that she was avoiding work during a busy event? On the flight home, I flew United for the first time in a long while. My flight attendant was on her mobile phone most of the trip, and I was sitting in first class! I took her picture with the intent of reporting on her performance. I’ll never fly with them again. She sat in the jump seat with her head against the wall staring at her phone for over 30 minutes of the 95 minute flight. Is that any different than sleeping? The end result was the same – the customer was neglected, and in their case, they lost future business. Cell phones kill productivity in the workplace, yet when you remove them morale plummets. In the Army, if you ban them from field training exercises you’ll receive IG complaints. The sad truth is that the senior officers will allow the investigations to go forward. Sleeping on the job or being constantly distracted, either way, productivity is negatively effected. I once wrote an article for my warrant officers in which I told them – always be to work on time, always shine your boots, and when you are finished with your work see if your buddy needs a helping hand. “Do these things,” I told them, and you will be successful. Seventy-five percent of your peers will take themselves out of the equation by not doing them. Today, I would offer, set the phone aside. Return to the age old practice of giving an honest day’s work for an honest day’s wage and you will be successful. You will be the minority.